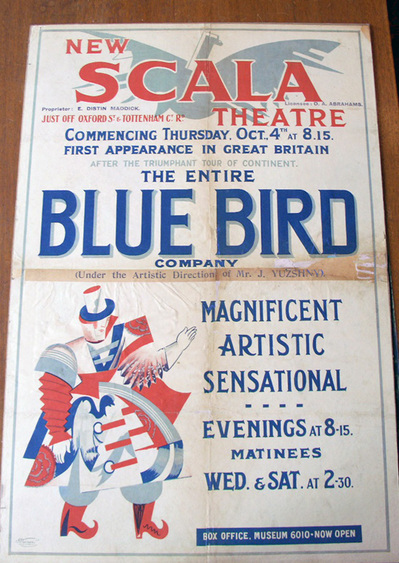 In the 1920s, Der blaue Vogel (The Blue Bird) was a theater/cabaret founded by Russian émigrés living in Berlin. 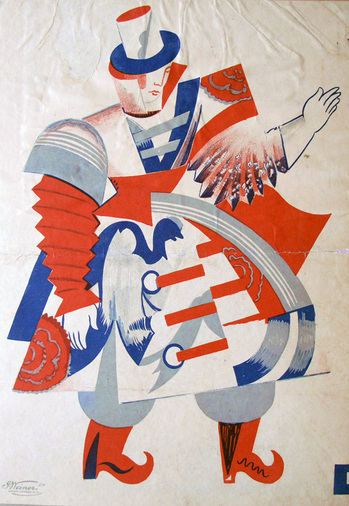 Their performances combined Russian folk songs, modernist theater, and satirical sketches. Three of the men active at The Blue Bird were L. E. Duban-Tortsov, a former Moscow Art Theatre actor; Jasha Jushny (also written Sasha Yuzhny or J. Yuzhny); and the director André Andrejew (1887-1967). It was Jushny who took the company on a European tour in 1923, reaching London’s Scala Theatre in October.